AgieCharmilles FI440CCS was specifically selected to machine complex titanium-alloy components. Mainly required in small (sometimes prototypes and one-offs), and always to high quality and tight delivery times - Electro-Discharge operates 24/7, and demands a great deal from its in-house EDM capabilities. 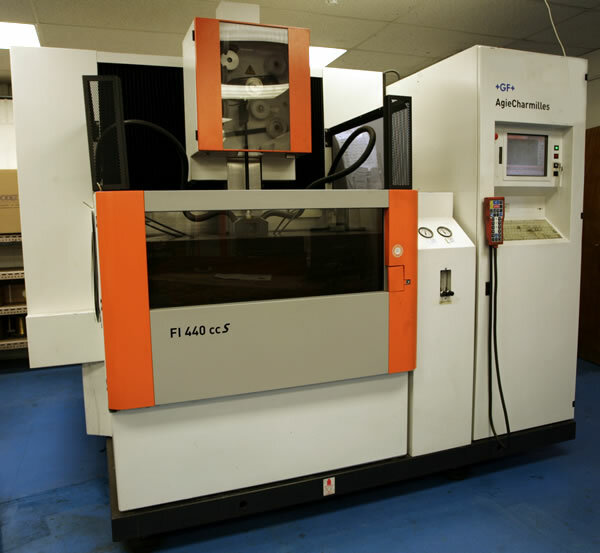 The FI440 CCS is used to manufacture high-precision complex parts predominantly for the aerospace (aero-engine), oil/gas, satellite and power generation sectors. The AgieCharmilles FI440CCS produces Surface conditions never before achieved on a universal machine with finishes as fine as 0.1 µm Ra on parts of any material, In many cases this can eliminate the need for subsequent polishing.